Eric Fischer, Economics Ph.D. 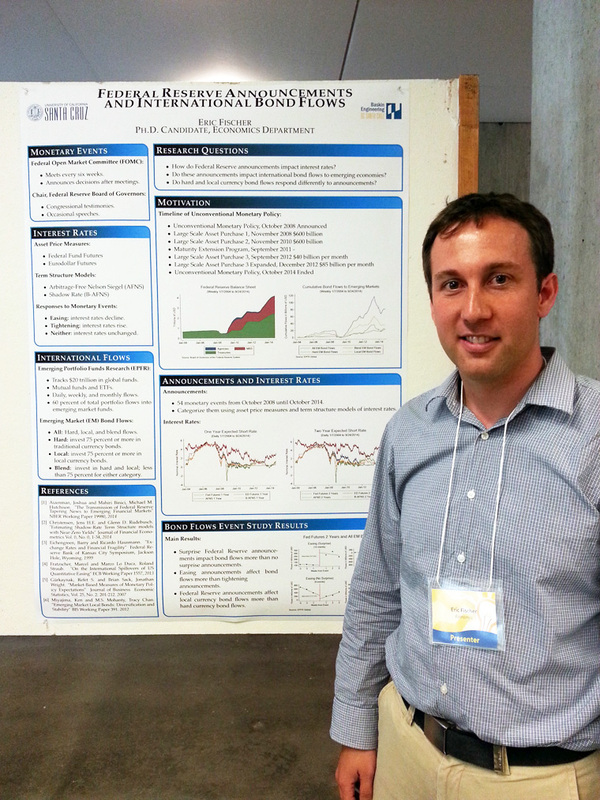 Candidate, and his poster on the Federal Reserve Announcements and International Bond Flows. Eric Fischer sharing his knowledge to an interested participant. • Promote interdisciplinary research conversations among our graduate students. 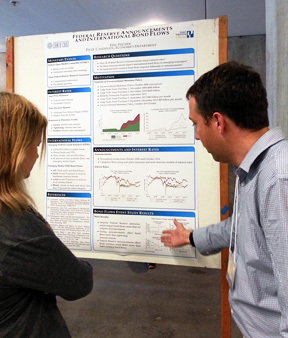 Our Economics Ph.D. candidate, Eric Fischer presented his research on Federal Reserve Announcements and International Bond Flows.